Took less than 48 hours only to part ways. They were united, seen together in every single event. Those days are gone. President candidate Prabowo Subianto was on his own celebrating victory in April 17 election in front of his residence at Kertanegara, South Jakarta after attending Friday prayers at Al-Azhar Mosque nearby. Where was running mate Sandiaga Uno? After 24 hours of speculations, Sandiaga Salahudin Uno finally appeared in public alongside Prabowo Subianto Thursday night. Prabowo, for the third time in 24 hours after the closing of polling stations, declared victory in the presidential election even when international leaders congratulated incumbent president Joko ‘Jokowi’ Widodo. Apart from the presidential race, the quick counts of various polling agencies have shown the outcome of the 2019 legislative election. PDIP has come out as the winner of the legislative election with Gerindra, Golkar, and PKB in the Big Four. But unlike the findings of previous surveys, per the quick counts we may still see plenty of political parties seated in the House of Representatives (DPR). 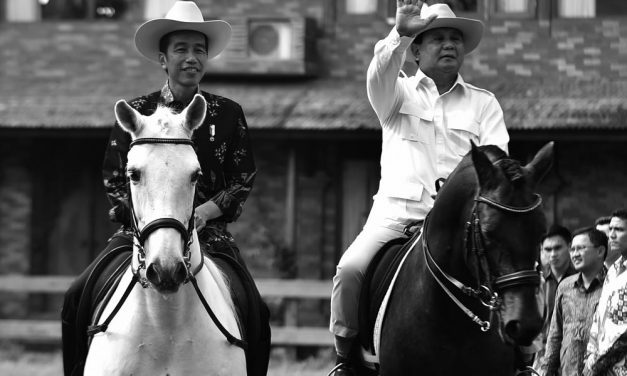 The quick count of various polling agencies, including even those with crystal clear connection to Prabowo Subianto’s opposition group, have pointed to the victory of incumbent President Joko “Jokowi” Widodo in the 2019 presidential election. Prabowo, however, has refused to admit defeat. Quick count from 11 agencies (pollsters) suggested a second term for President Joko ‘Jokowi’ Widodo. Data collected from thousands of samples taken by each of the agency pointed to a margin of between 7% and 11.56% for Jokowi’s comfortable lead. Formal and actual counting by the General Election Commission (KPU) might eventually lead to 9-10% gap between Jokowi and Prabowo. The General Election Law No. 7/2017, specifically article 449 section 5 notes that quick counts can only be done 2 hours after the polling stations close on Western Indonesia. It’s a rule that several television stations grouped in the Asosiasi Televisi Swasta Indonesia (ATVSI) and the Asosiasi Riset Opini Publik Indonesia (AROPI) challenge at the Constitutional Court (MK) with a Judicial Review (JR). The MK is going to release the result of their deliberation today. 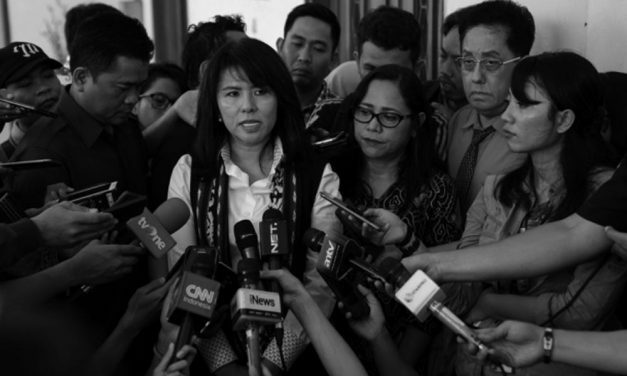 Prabowo Subianto secured the endorsement of Fifi Lety Tjahaja Purnama, the younger sister of the former Governor of Jakarta Basuki Tjahaja Purnama (BTP). Separately, in a press conference held yesterday (April 15), the Indonesian Buddhist Youth Community encouraged the people to vote on April 17 and suggested them to vote for the candidate who’s calm, patient, not easily angered, and not spreading hate. Three more polling agencies released the result of their electability survey yesterday (April 15). They are Indobarometer, Charta Politika, and Median. Median, as we all know, has crystal clear connection to Prabowo Subianto’s opposition group. The Coordinating Minister of Politics, Law, and Security Wiranto led a Final Preparedness Coordination Meeting in his office earlier today (April 15). In attendance were the Chief of POLRI General Tito Karnavian, the Commander of the TNI Air Marshall Hadi Tjahjanto, the Minister of Home Affairs Tjahjo Kumolo, the Attorney General, the Chairman of the General Election Commission (KPU) Arief Budiman, and the Chairman of the Election Supervisory Body (Bawaslu) Abhan. We’re in the second day of the three-day period of Election Silence, but as usual, this period of silence could be anything but. The contenders and their supporters are going to use the last minutes before the election day on April 17 to collect more support. Prabowo Subianto, for example, visited a gallery in Jakarta. 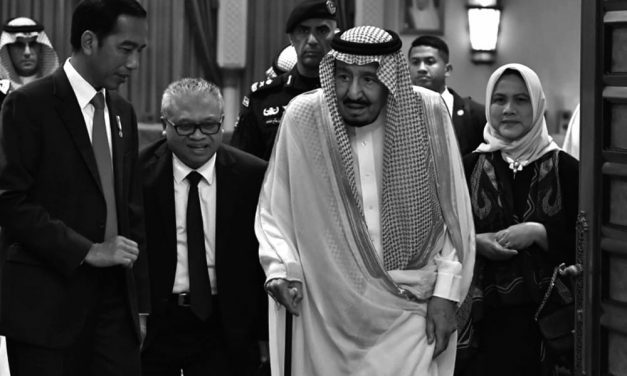 President Joko “Jokowi” Widodo, meanwhile, met with the King of Saudi Arabia Salman bin Abdul Aziz Al Saud in Riyadh. The outcome of the 2019 elections will not just determine who will rule the country for the next years, but it will also influence the course of the 2024 presidential race. Let’s talk a bit on the matter. Today is the last campaign day before entering the three-day of ‘silentium magnum’. Pair candidate Joko Widodo and Ma’ruf Amin will have their big campaign at the Bung Karno Stadion, Jakarta. Wrapped in a giant concert performing 500 artists, millions of supporters are expected to show up in what might be the largest rally from the incumbent.